Russian sports complex seeks to recover $14.6 million from FIFA IT contractor | Russian Legal Information Agency (RAPSI). MOSCOW, April 11 (RAPSI) – The Luzhniki Sports Complex has filed a motion with the Moscow Commercial Court seeking to recover 937.9 million rubles (about $14.6 million) from Asteros company, an IT contractor for the FIFA 2018 World Cup in Russia, the court documents read. On May 28, the court will consider the defendant’s bankruptcy claim. Asteros is also a defendant in several lawsuits filed by various organizations. 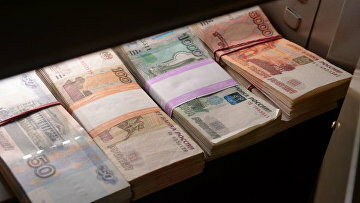 In March, Russian Narodny Bank lodged a claim seeking to collect 252.7 million rubles ($4.3 million) from the IT company. The safety concept for one of Russia’s largest sports complexes Luzhniki along with its “clean zone” inside the object were developed by Asteros. 17:24 11/04/2018 The Luzhniki Sports Complex has filed a motion with the Moscow Commercial Court seeking to recover 937.9 million rubles (about $14.6 million) from Asteros company, an IT contractor for the FIFA 2018 World Cup in Russia.